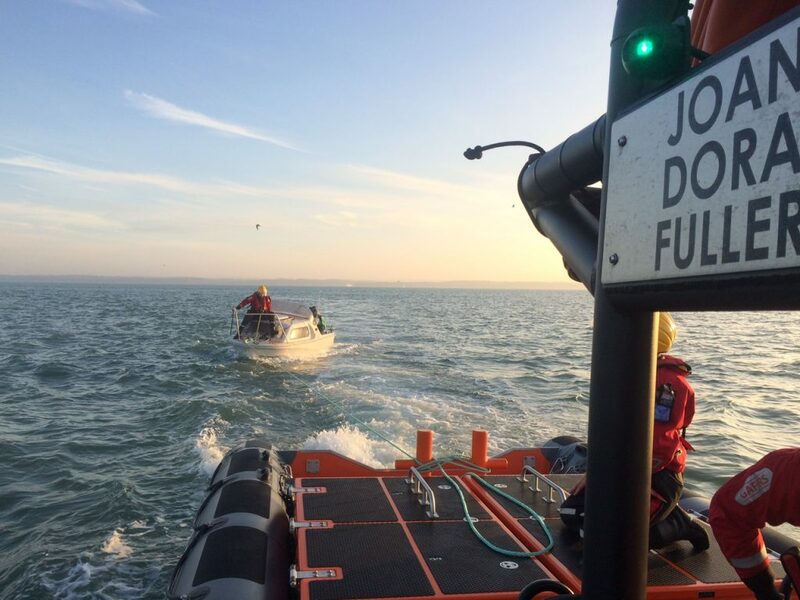 Rescuers came to the aid of two stranded vessels on Sunday that had got into difficulties in The Solent. 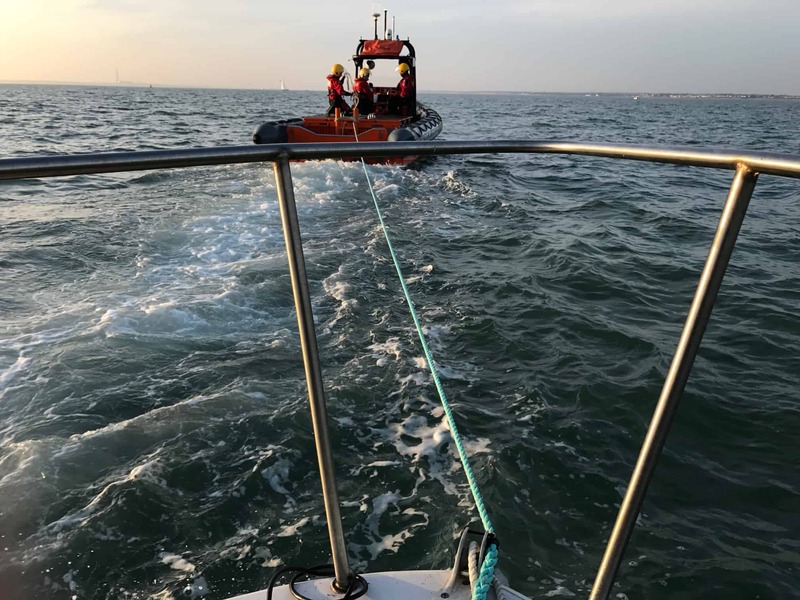 Crews from Gosport & Fareham Inshore Rescue Service (GAFIRS) were launched at 1540 by UK Coastguard to assist an 18ft fishing vessel that was stranded off Browndown. The boat, which had two fishermen on board, had not been able to restart its engine after a day fishing in The Solent. Just a few hours later, UK Coastguard called on GAFIRS again to investigate reports from the public of a sailing vessel making slow progress in the dark with no navigation lights off Hill Head. GAFIRS was launched from its base at Stokes Bay, Gosport, at 1738 and used its radar and on-board night vision system to locate the casualty yacht. ‘When we located the vessel the skipper told us he had no power as his engine had failed and he was struggling to make way in the low wind,’ said Mr Pack. 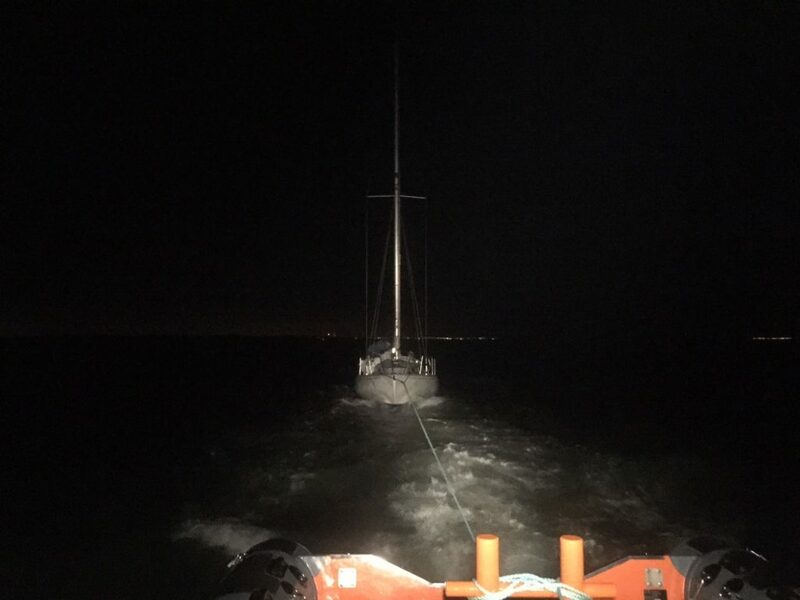 GAFIRS towed the 30ft yacht to its mooring and assisted the skipper – who was sailing single handedly – back to shore at Calshot. The rescues were the 104th and 105th for GAFIRS this year. Gosport & Fareham Inshore Rescue Service is an independent lifeboat station manned entirely by volunteers, on call to the Coastguard 24 hours a day 365 days a year.